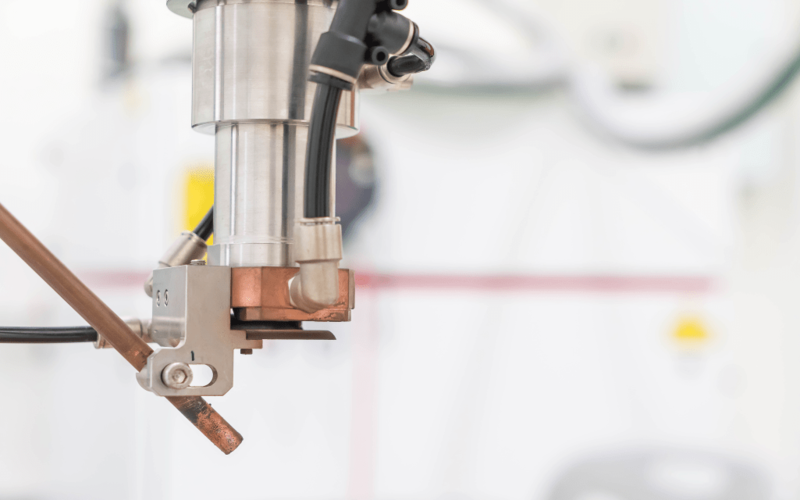 Laser processing is simply the usage of high-powered lasers, typically manipulated through automated and precise motion control systems such as XY positioning stages, to interact with raw material to manufacture or aid in the manufacturing of a product. This interaction occurs mainly through the intense thermal heat that a laser can apply to the surface of the material. Due to the precise nature of lasers, this interaction can be used for very intricate and very delicate manufacturing tasks. With this in mind, here are some examples of laser processing technologies used in manufacturing. Lasers can be an effective cutting tool for manufacturing processes. Not only does a laser’s inherent ability of focusing intense light into a very tiny area makes it able to cut through thick and durable material, it also allows it to make very fine cuts, which is perfect for delicate tasks such as those involved in semiconductor and even textile and clothing The fact that laser cutting is a contactless cutting procedure also makes it very cost-effective, as normal cutting tools can damage the object being cut, and often wear out very quickly and can be costly to replace. Lasers are also used in manufacturing for welding, or joining two parts or surfaces (usually both metal, but they can also be different materials) by partially melting the area where they meet with the application of heat, thus forming a durable bond. By using lasers to weld instead of manually operated torches or electric arcs, manufacturers can make stronger and more accurate welds, which in turn makes for a more durable and aesthetically pleasing product. Laser marking involves the usage of lasers to mark various metals and materials for identification, branding, or cosmetic purposes. Applications where laser marking is used include the application of bar codes, QR codes, serial codes, copyright/trademark signs as well as logos on various forms of merchandise or goods. Like with other processes that involve lasers, laser printing can result in clearer, more durable, and less cost-prohibitive prints. Another use for lasers in the manufacturing industry is for engraving, where the laser is used to burn away material on a surface to create a groove or mark in the material. Just like in laser cutting, it is a contactless process, so any costs that are usually incurred with conventional engraving methods are waived. Lasers can also do a more precise job of engraving, which in turn results in a more aesthetically pleasing final product. Just as lasers can be used to deliver intense amounts of heat and light to cut through objects, they can also be used to delicately strip away thin layers of material from an object without harming the surface underneath the layer to be removed. This process can be made gentle enough that it can even be used in biological tissue, such as in cosmetic skin laser ablation. Using lasers in this particular process is not only easier but also more environmentally friendly, as conventional ablation methods often involve chemicals and solvents. Similar to laser ablation, laser cleaning involves stripping away layers of material through the application of directed light and heat. However, cleaning goes further and deeper than ablation, to the point that the surface underneath is also affected. Laser cleaning is used mainly for priming hard and brittle surfaces such as ceramics, glass, plastics, and metals for painting. It is also used to remove deep-seated rust and/or caked-on contaminants on bridges, aircraft, and trains. Just like laser ablation, this usage of lasers is friendlier to the environment as it eschews the use of harmful solvents. These are just some of the many laser technologies used in manufacturing today. As we can see, not only does laser processing result in a more efficient work flow and higher product quality, it also has other benefits to offer manufacturing industries, such as lower operating costs and a smaller carbon footprint. Combined with automation technology, industries stand to gain so much more with laser processing, even with the price of admission.